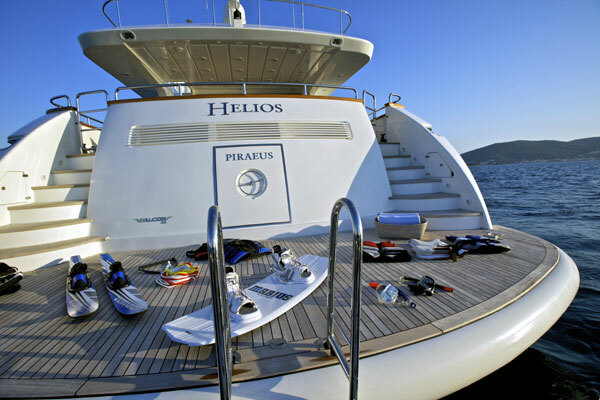 Stepping on board Falcon’s radiant 115ft “HELIOS”, newly built in 2010, you immediately experience the fresh, crisp and light atmosphere that she offers. 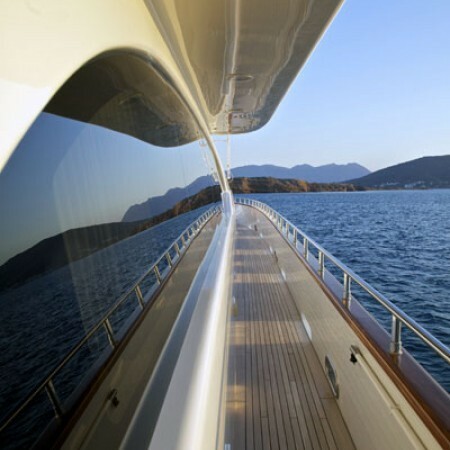 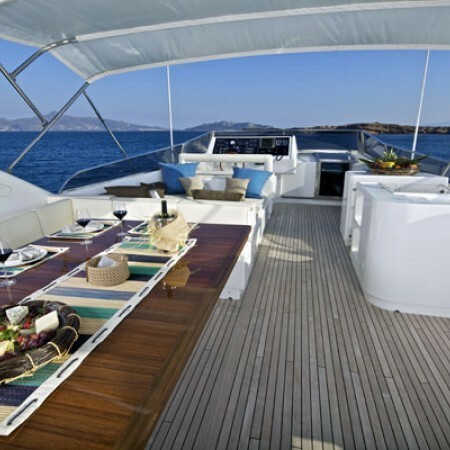 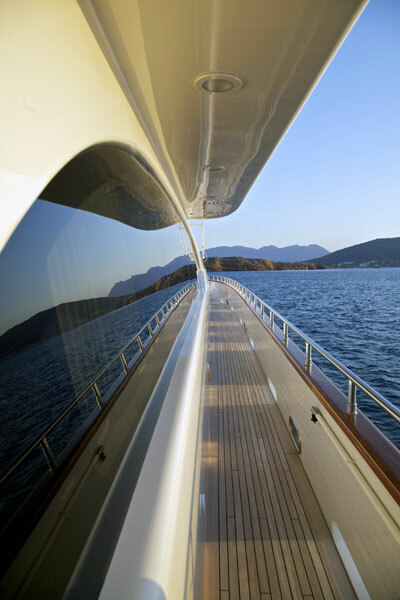 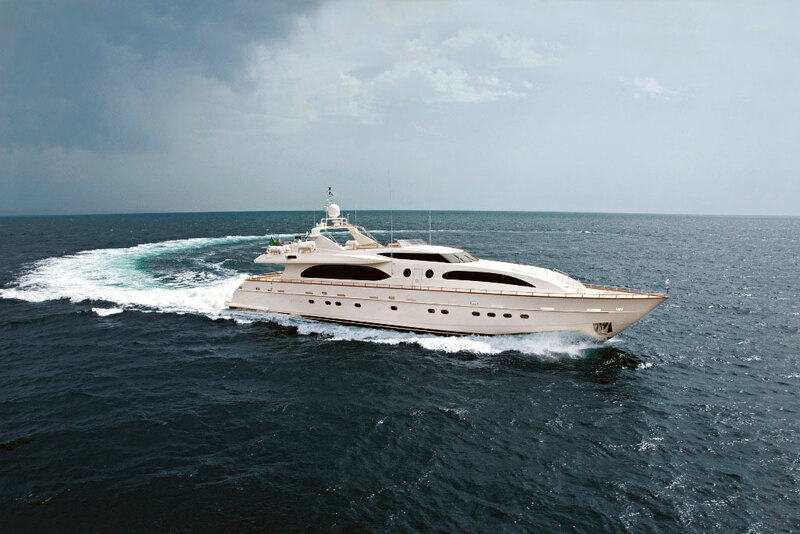 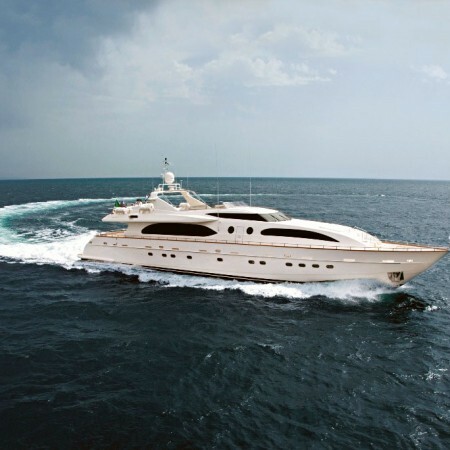 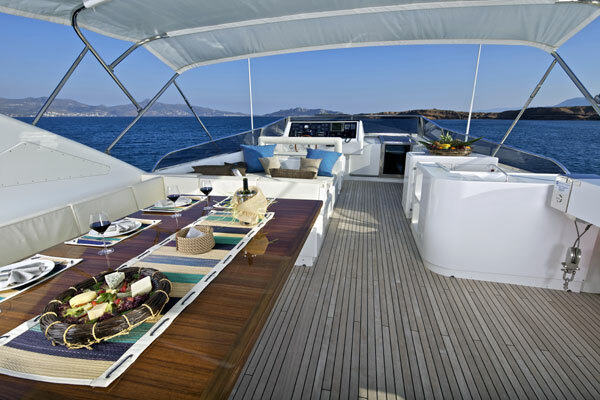 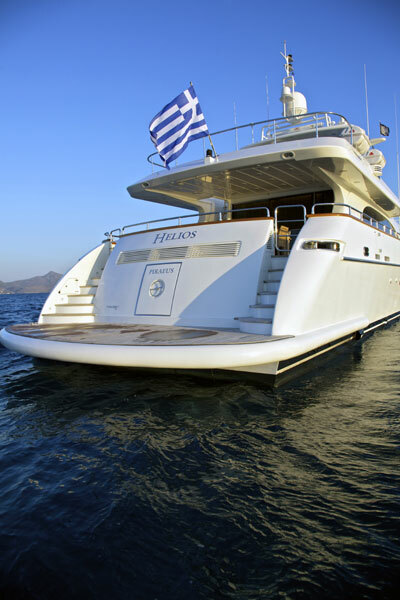 Staying true to her name, meaning ‘sun’ in Greek, this bright, shining, glorious yacht is extremely humble in her beauty. 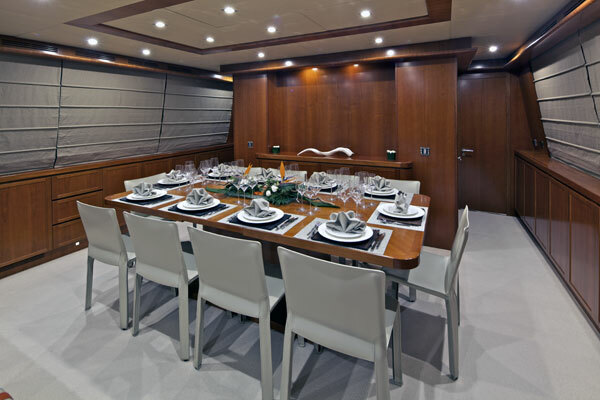 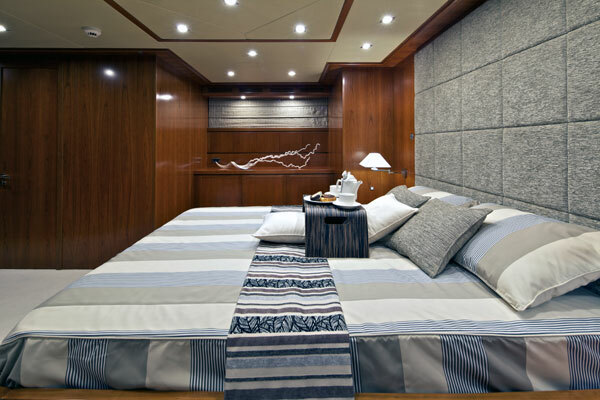 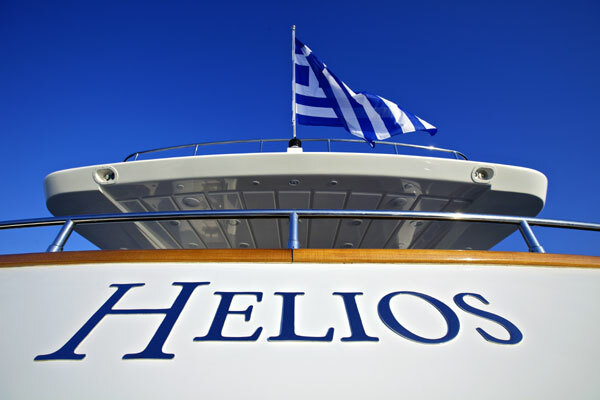 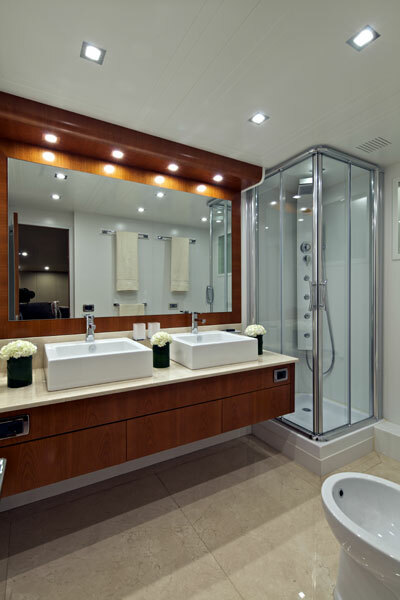 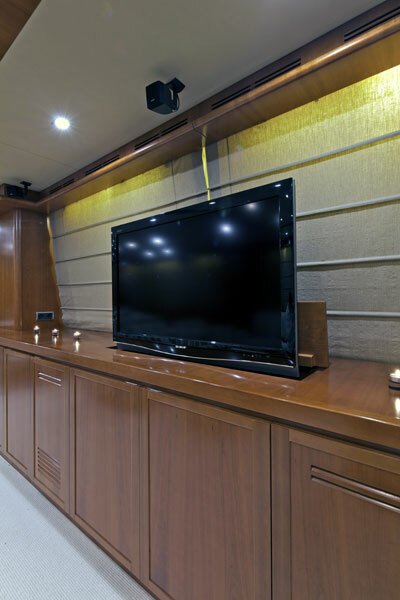 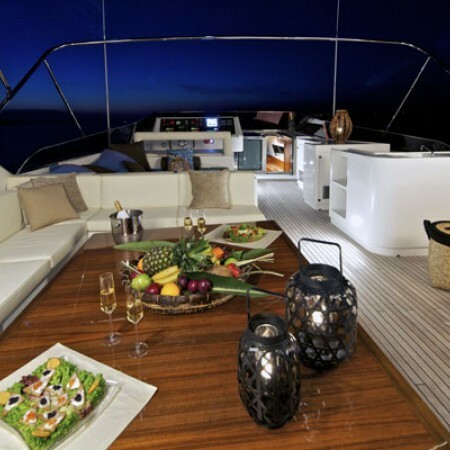 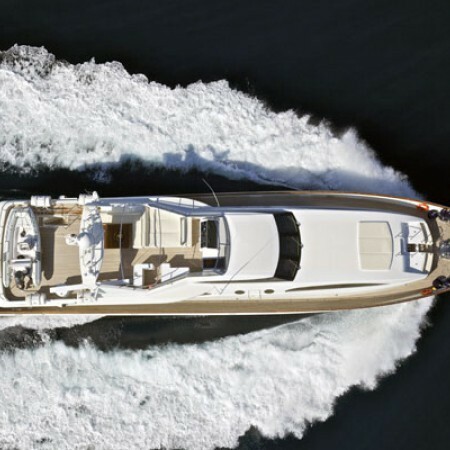 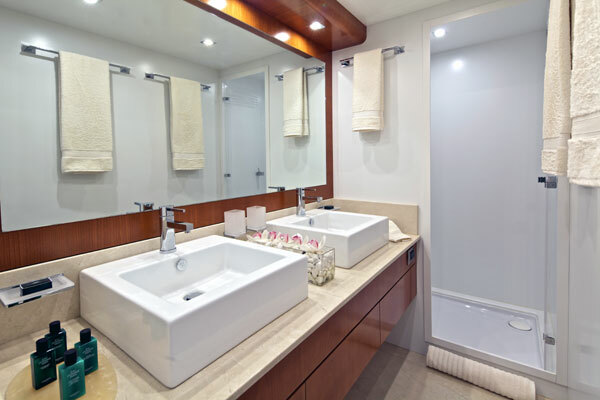 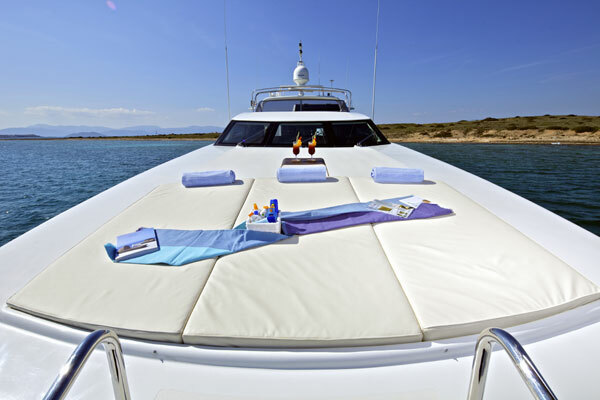 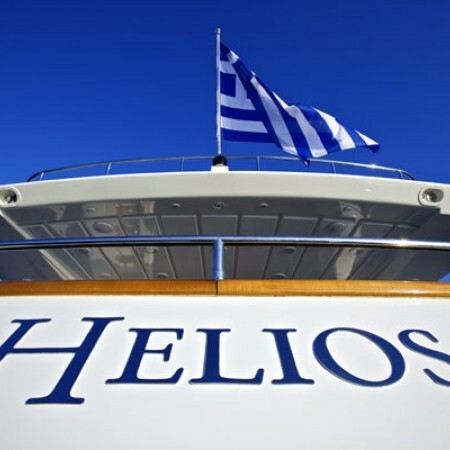 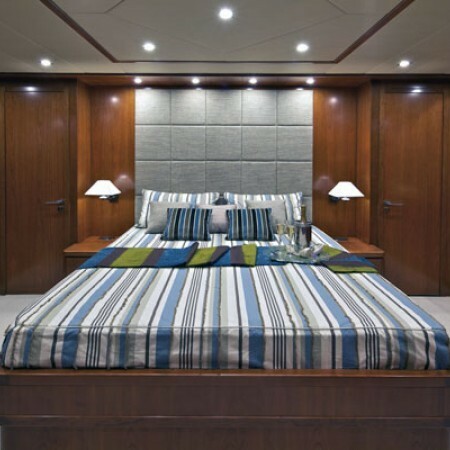 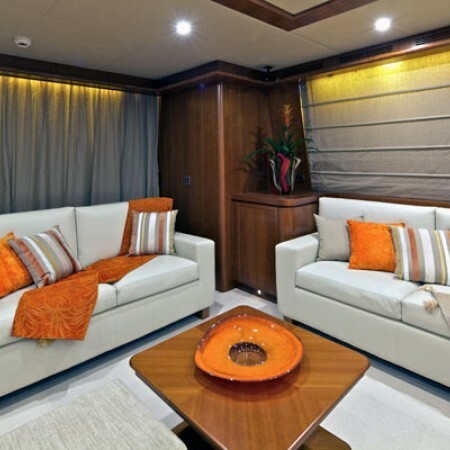 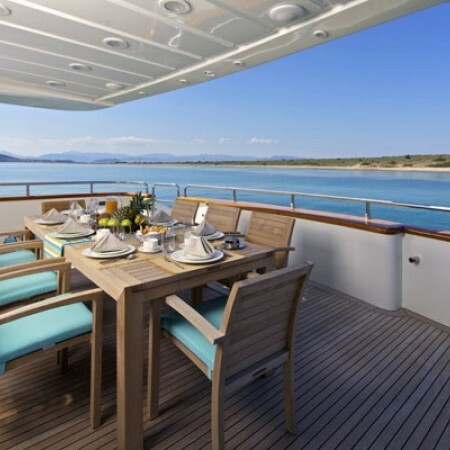 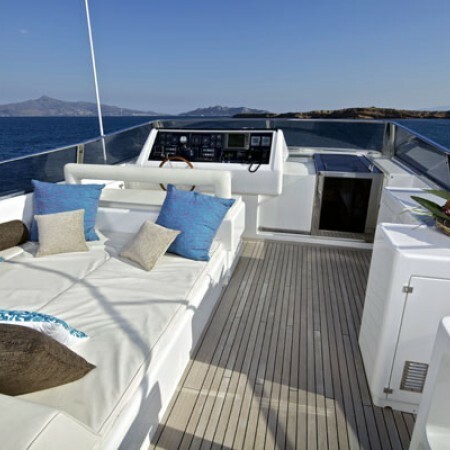 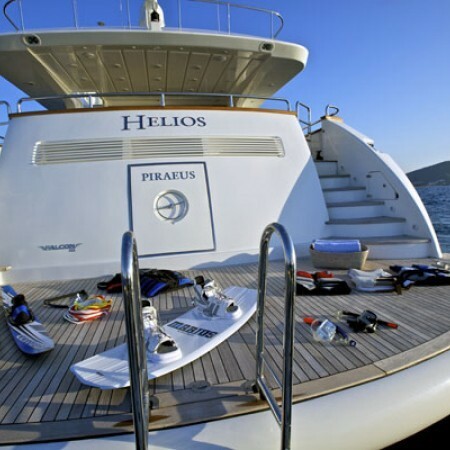 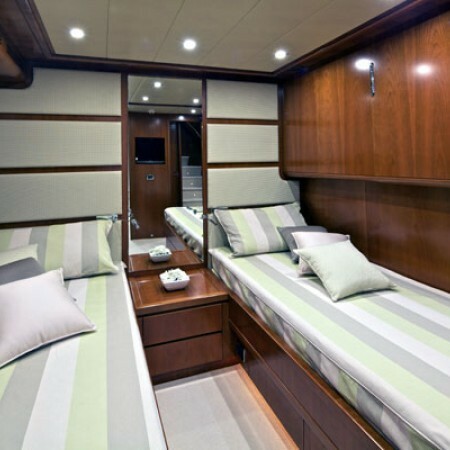 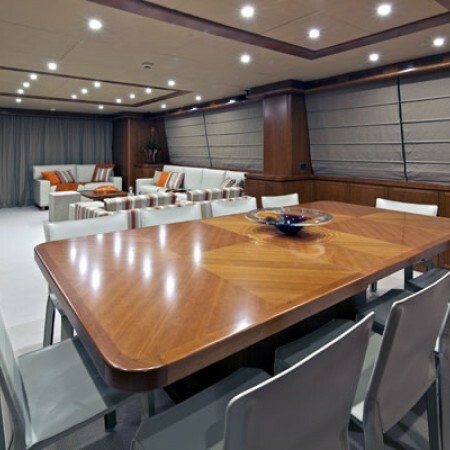 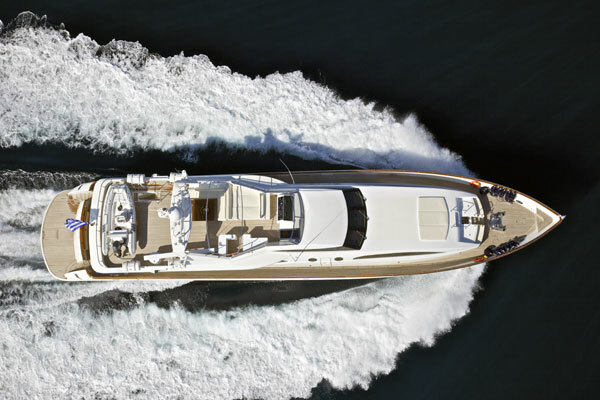 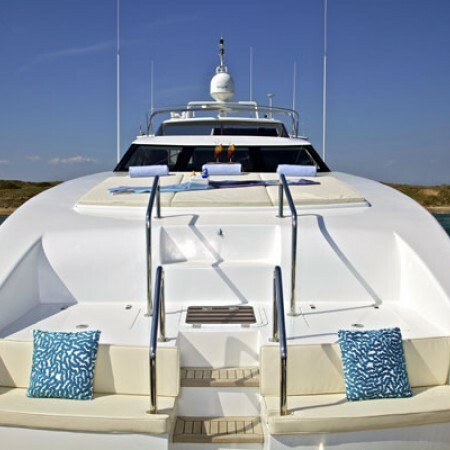 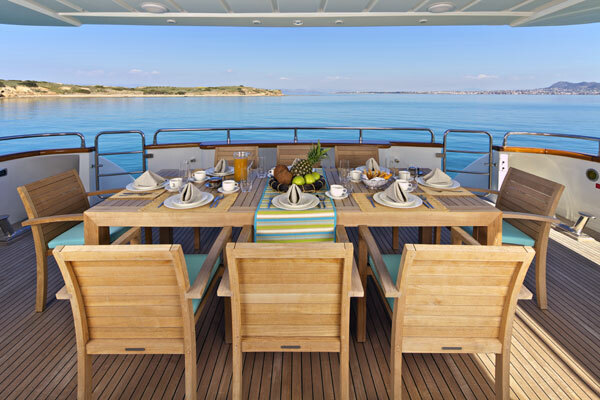 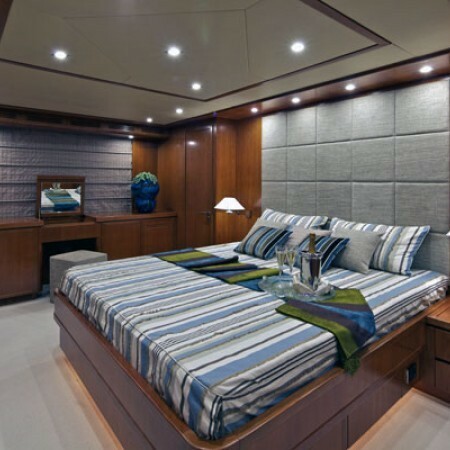 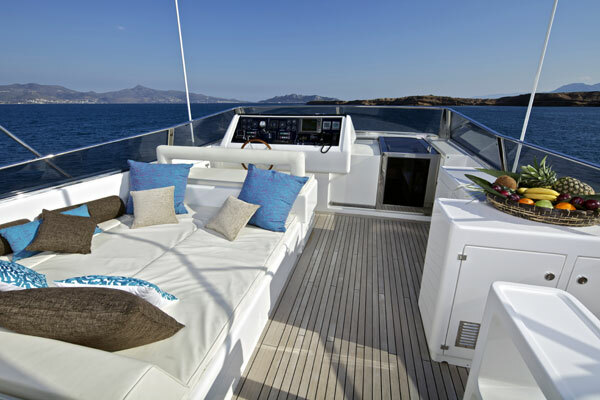 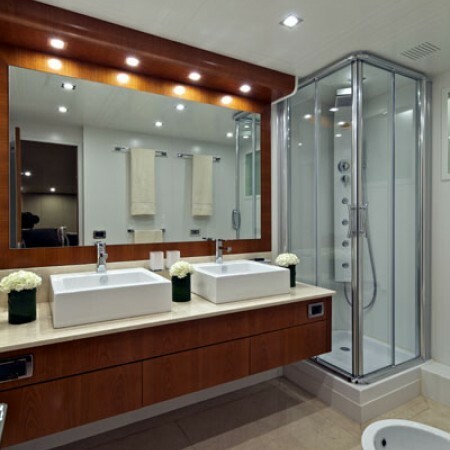 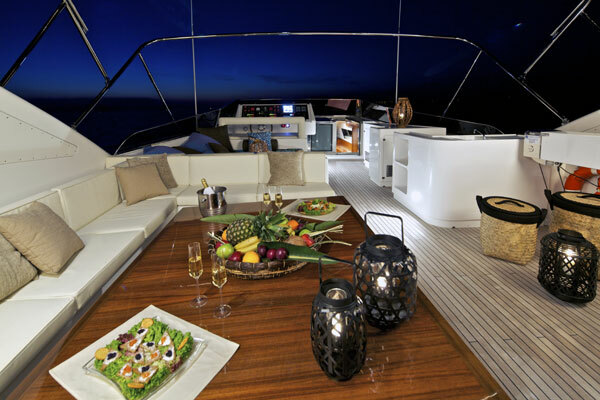 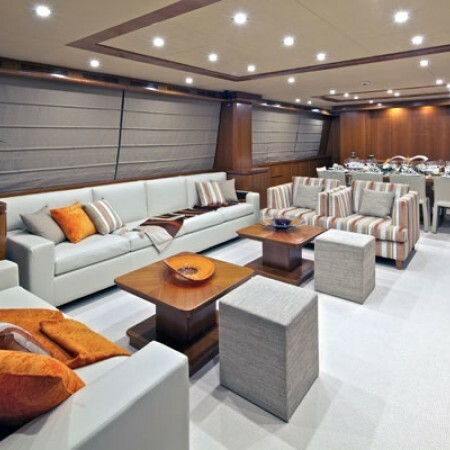 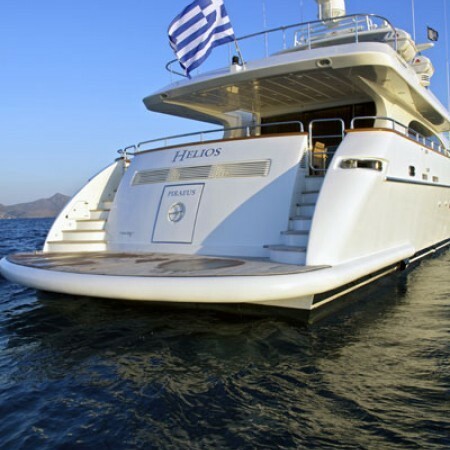 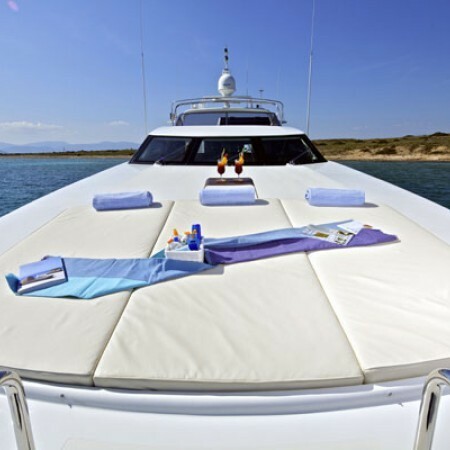 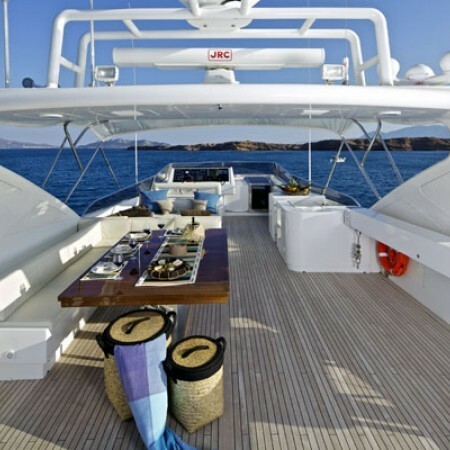 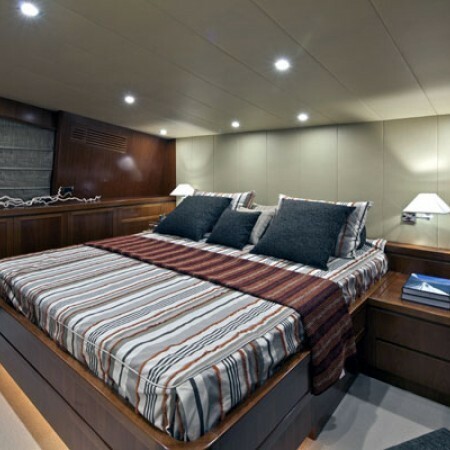 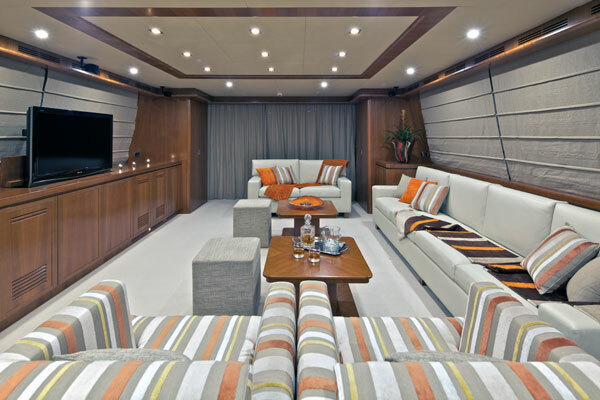 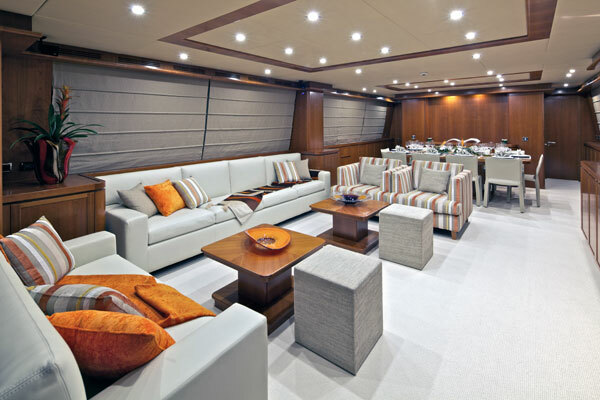 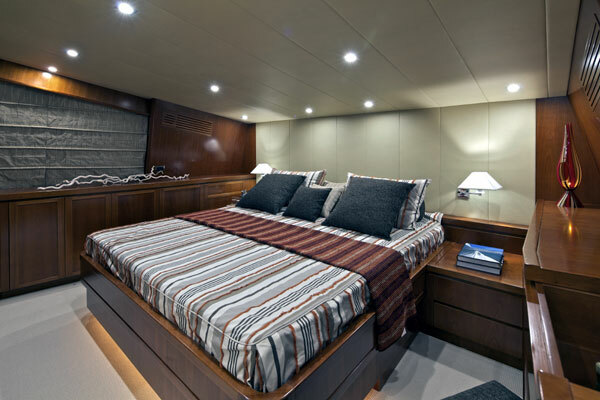 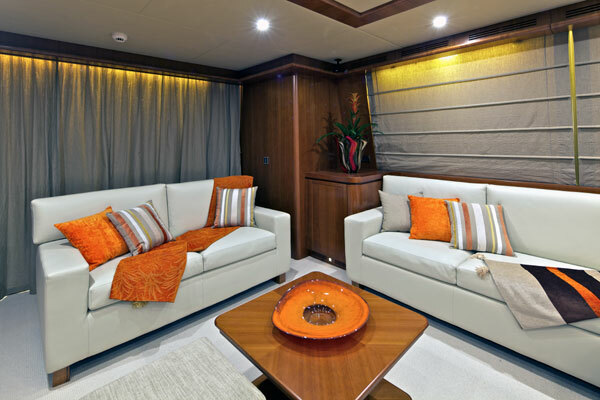 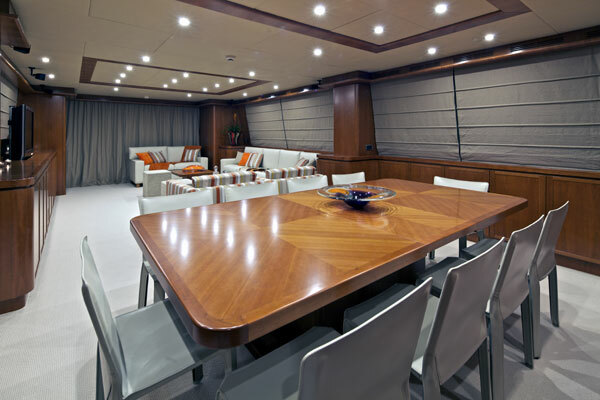 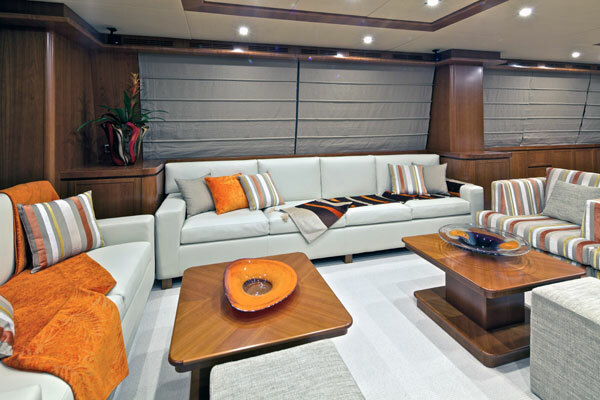 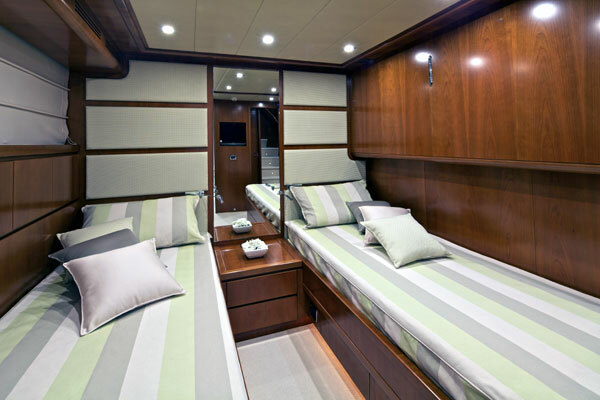 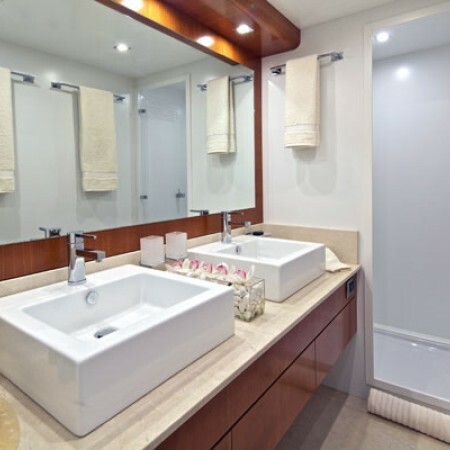 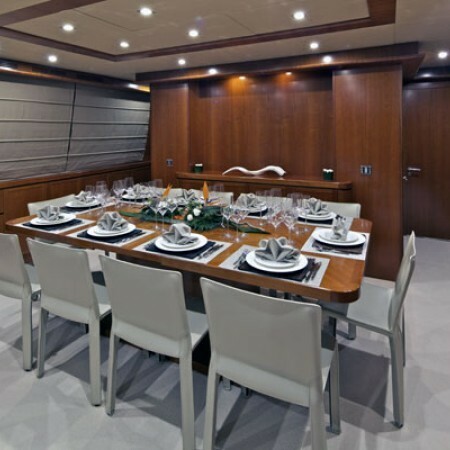 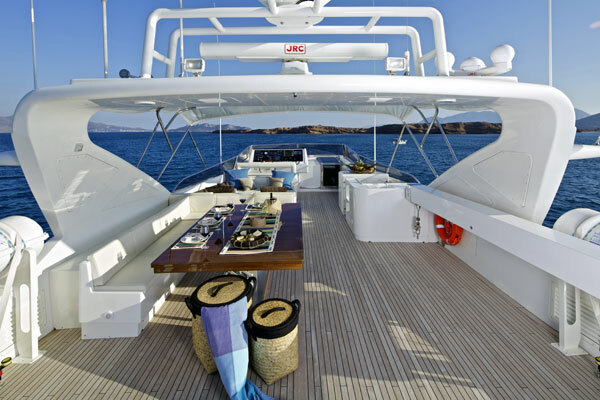 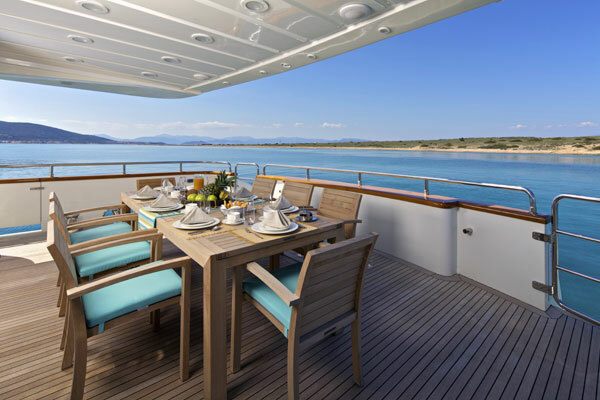 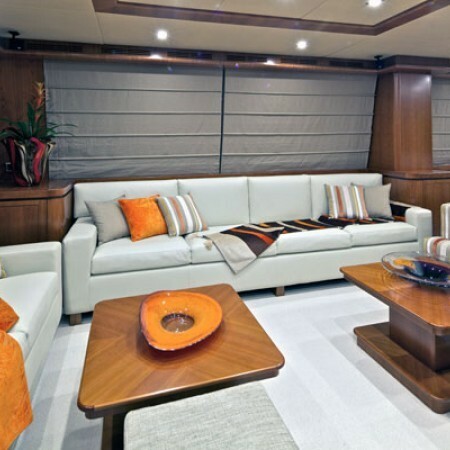 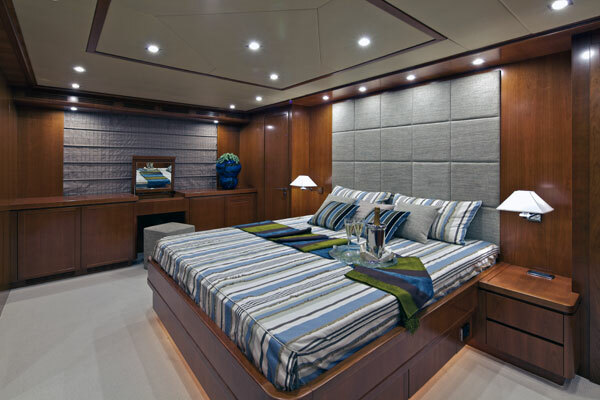 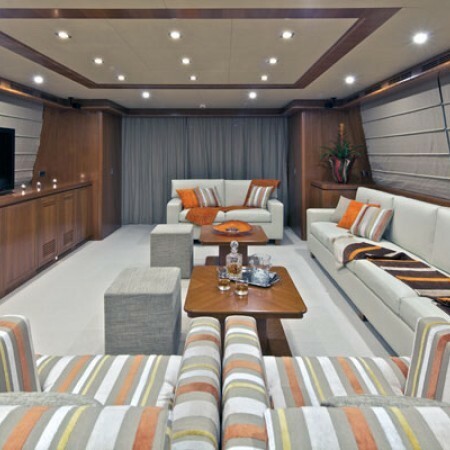 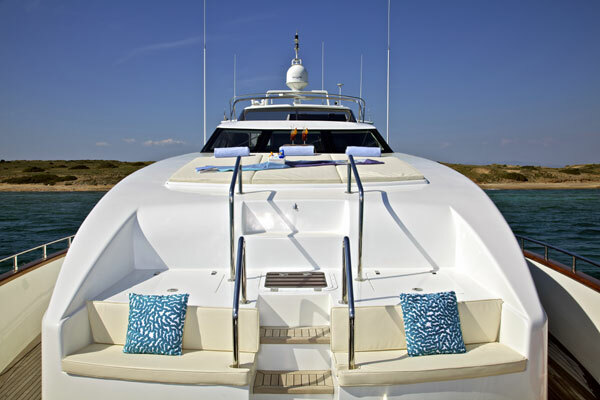 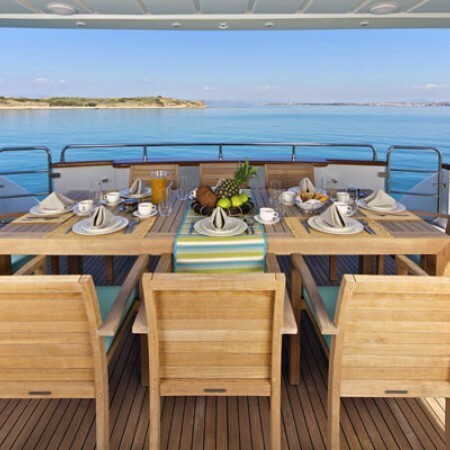 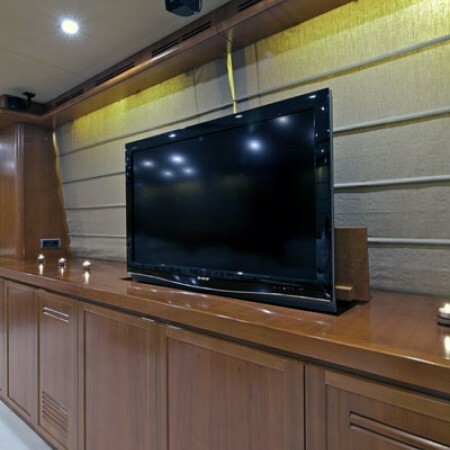 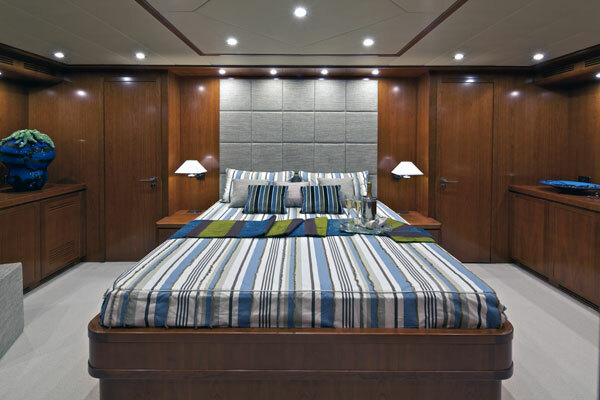 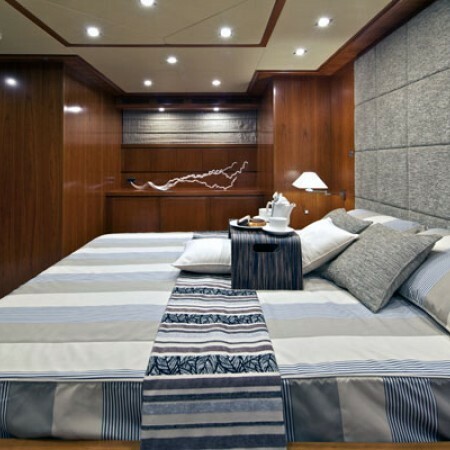 With her stylish interior design, beautiful and sleek exterior, elegant lighting, numerous up-to-date amenities, water-toys and her superb crew, your stay on-board “HELIOS” will, without a doubt, be one that is relaxing, enjoyable, unforgettable and one that you will be ready to do again! 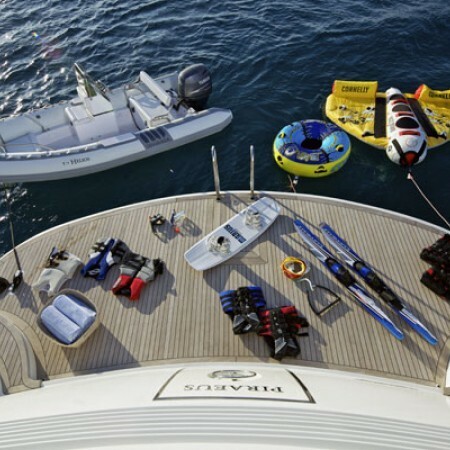 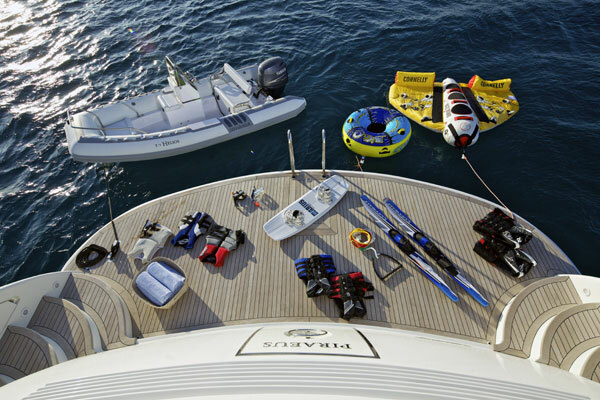 Water-skis, Tubes, Wake board, Inflatable banana (for 6 persons), Two kayaks, Snorkeling and Fishing Equipment.